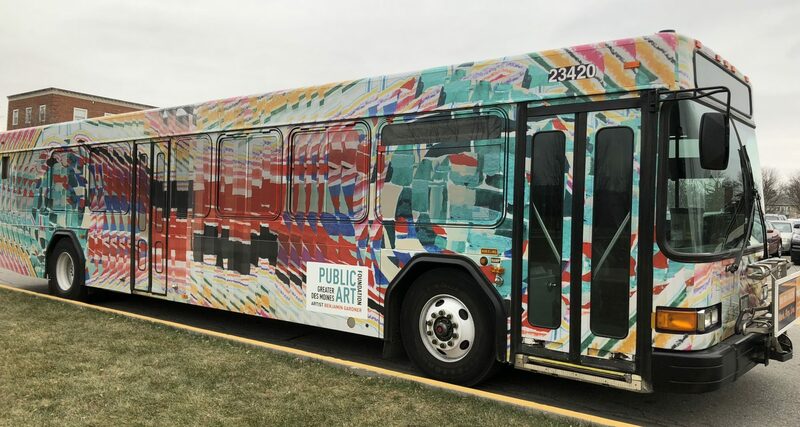 Commissioned by Greater Des Moines Public Art Foundation, 2017 The project was in collaboration with the Des Moines Area Regional Transit Authority. 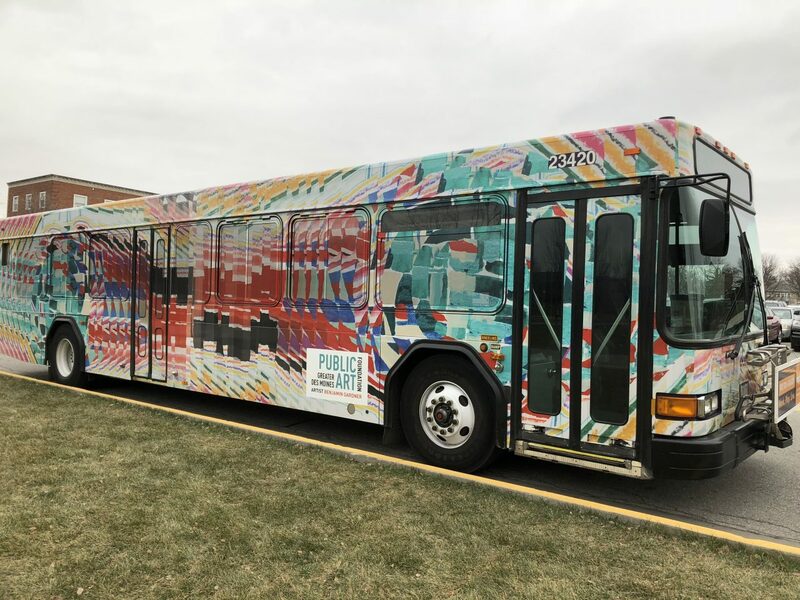 This is a "mobile" public art project which travels daily from the DART Bus Station in downtown Des Moines throughout area communities. 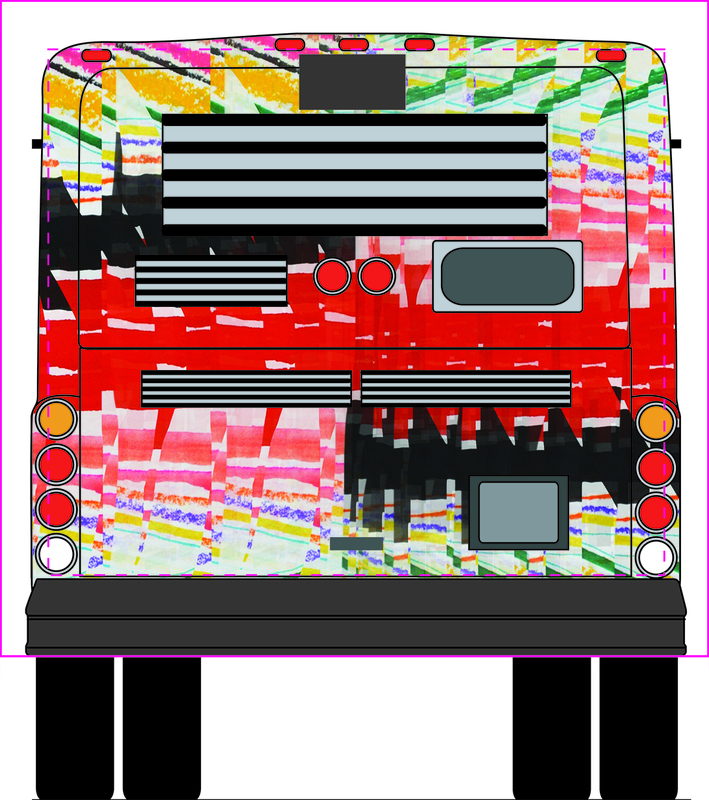 Concept proposal, back of bus. 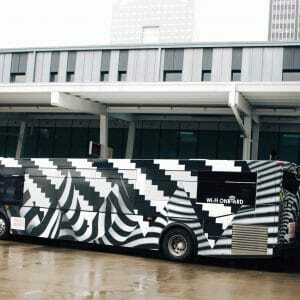 Benjamin Gardener’s design will be seen 100s of thousands of residents and visitors. 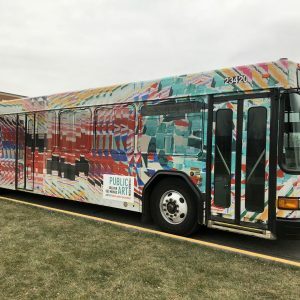 The bus will travel approximately 2,250 miles each month in Des Moines, Ankeny, Altoona, Pleasant Hill, Des Moines, Grimes, Windsor Heights, West Des Moines, Clive, Urbandale, and Johnston. I have spent a lot of time thinking about culture and human existence in my studio and find it to be a potent platform for the notion of common ground during times of conflict and disagreement. I would argue, too, that disagreement is a part of our culture and how we choose to seek resolution constitutes the basis of our morals. "The Chasm" is an abstract representation of this part of humanity: something that appears dualistic (conflict and disagreement) but that is, in actuality, much more complex than what we originally perceive and can recognize, especially if we are a part of the conflict. Using abstract painting and drawing I have created a composition in which two objects seem opposed to one another. 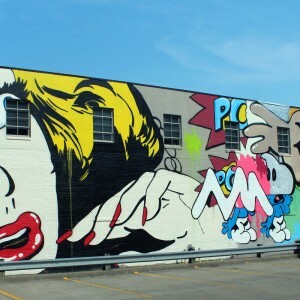 The entire composition, though, emphasizes spatial complexity with its color relationships and repetition of form, so what is originally seen as figure over ground dissipates upon further consideration of the image. The repeated forms act as ripples emanating from the objects, in part representing the notion of how an object interacts with its surroundings. My work has also been involved with thinking about how mythic and mystic experiences influence culture and this research is another component this image; I want it to function as both a dualism and a monad—an indivisible object that represents contemplation and meditation. 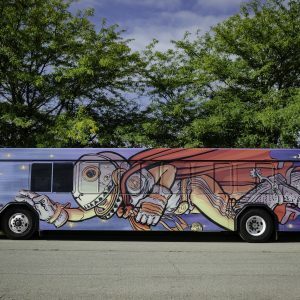 Though most would not say that riding a bus constitutes a mystical experience, I myself find public transportation to allow time for profound reflection on issues that may be occurring in my own life and I see potential for inward thinking in these parts of the daily routine.